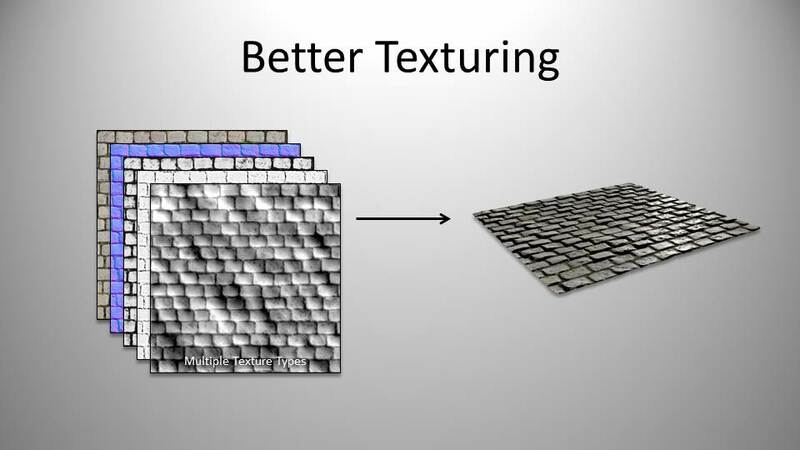 The technical language used within my last blog post on texture mapping is something i will have to become versed in. We have been told before that once we know more and more we will be talking in our own language of the work place this will help understanding between our peers when we do group projects it will be very benefitial for future career paths when we finish our degree aswell. That being said i want to research further into some of the techincal language i will be using the sooner i come to terms with it the better for me and my peers. UV: is Uv mapping in 3d modelling it puts a 2d texture onto the 3d model. You put your texture onto the rendered uv map once unwrapped using a program like photoshop then bring it back into 3ds max and bring it is as a bitmap and apply material to stage selection. XYZ: This is basically the x axis, y axis and z axis of 3d modelling used to scale, move, rotate your model. Vertex: is a single point on a model or a point in 3d space. Ambient Light: is the general light that illuminates the entire scene. It has a uniform intensity and is uniformly diffuse. It has no discernible source and no discernible direction. Ambient Occlusion: or AO is a method for emulating the look of true global illumination by using shaders that calculate the extent to which an area is occluded, or prevented from receiving incoming light. Used alone, an AO shader, such as the separate mental ray Ambient/Reflective Occlusion shader, creates a grayscale output that is dark in areas light cannot reach and bright in areas where it can. The practical result is that the AO provides nice “contact shadow” effects and makes small crevices visible. Anti-aliasing: improves image quality by smoothing such internal image edges. Antialiasing can be either on or off. Turn this off only when you’re rendering test images and want greater speed. Leave it on at all other times. Axis: uses the xyz, used to scale, move, rotate your model. Baking: allows you to create texture maps based on an object’s appearance in the rendered scene. The textures are then “baked” into the object: that is, they become part of the object via mapping, and can be used to display the textured object rapidly on Direct3D devices such as graphics display cards or game engine. You can render to textures using the Scanline Renderer or the mental ray renderer. Bitmap: is a still image produced by a fixed matrix of colored pixels, like a mosaic. You can use bitmaps as textures for materials, as backgrounds to viewports, and as rendered environments. Boolean: combines two or more objects by performing a logical operation on their geometry. The objects typically overlap, but they don’t have to. The original two objects are the operands and the Boolean object itself is the result of the operation. Parent->Child precedence: causes joints closest to where a force is applied (the end effector) to move less than joints farther away from the force. This is the opposite of Child->Parent precedence. Parent->Child precedence assigns the highest precedence to the base object and the lowest precedence to the end effector. Compositing: The Composite map type is made up of other maps, which you layer atop each other using the alpha channel and other methods. For this type of map, you can use overlay images that already contain an alpha channel, or employ built-in masking tools for overlaying only certain parts of a map. (noun) A still image or a motion picture created by overlaying one image or motion picture with another. (verb) To combine still images or motion pictures by laying one over the other. Compositing often makes use of an image’s alpha channel. Co-ordinates: The Coordinate Display area shows the position of the cursor or the status of a transform and lets you enter new transform values. When you are simply moving the mouse in a viewport, these fields show the current cursor location in absolute world coordinates. While you are creating an object, these fields also show the current cursor location in absolute world coordinates. While you are transforming an object by dragging in a viewport, these fields always show coordinates relative to the object’s coordinates before the transformation was started.While you are transforming an object, these fields change to spinners, and you can type values directly into them. This is an easy alternative to using the Transform Type-In dialog. While a transform button is active and a single object is selected, but you are not dragging the object, these fields show the absolute coordinates for the current transform. See “Interface,” below. While a transform button is active and multiple objects are selected, these fields are blank. When no object is selected and the cursor is not over the active viewport, these fields are blank. DOF: Depth of field is a multi-pass effect. You turn it on in the Parameters rollout for cameras. Depth of field simulates a camera’s depth of field by blurring areas of the frame at a distance from the camera’s focal point (that is, its target or target distance). Group Extrusion, takes place along the average normal of each contiguous group of polygons. If you extrude multiples of such groups, each group moves along its own averaged normal. Local Normal, Extrusion takes place along each selected polygon’s normal. By Polygon, Extrudes each polygon individually. Extrusion Height, Specifies the amount of the extrusion in units. You can extrude selected polygons outward or inward, depending on whether the value is positive or negative. Material: Found in the material editor, can give many different effects to a model by applying a material, but to have it in a game engine you need to texture it apply the texture into the material editior as a bitmap then apply to model. Quads: 4 vertexes joint together form a quad which is a quad polygon. used mainly in modelling as when you import your model into a game engine they like to convert models into their own specfic form of tri polys. Tris: 3 vertexes joing together form a tri which is a try polygon. you can model in tris but game engines like to have there own coversion of tris so its easier to model in quads. Mesh: is a type of geometric model of a 3d object in which the basic shape is made up of points, or vertices, connected by edges. The renderable surface of the mesh object is made up of faces or polygons that connect the vertices and edges. Examples of mesh objects in 3ds Max are primitives such as Sphere and Teapot, as well as Editable Mesh and Editable Polygon objects.In 3ds Max you can edit a mesh by transforming, adding, and deleting the various elements, or sub-objects: vertices, edges, faces, and polygons. You can also apply various changes with modifiers. Tiling: The Tile option in the Material Editor is on by default, repeating the image along the U and V directions. You can use the Tiling values to scale the map image. 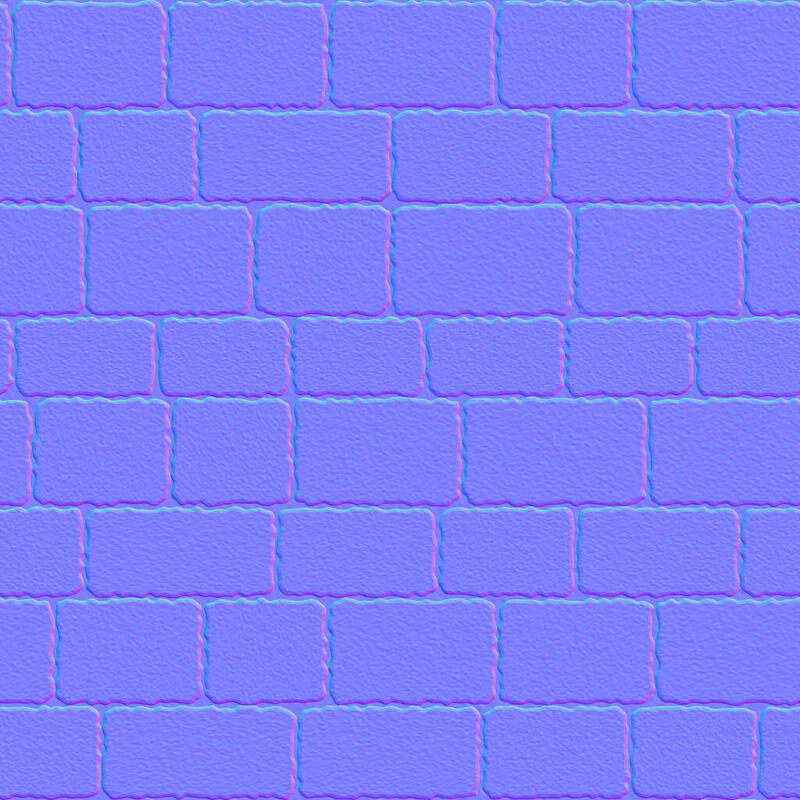 Setting negative Tiling values increases the size of the image. You can also set tiling values in the UVW Map modifier. These settings are in addition to the tiling values you set for the map in the Material Editor. If the map’s base tiling parameter has a value of 2.0 and the UVW Map modifier has a tiling value of 3.0 for the same axis, the net result is 2.0 x 3.0 = 6.0. To avoid confusion about where the tiling is coming from, you may want to set the map’s tiling in its base parameters or with the UVW Map modifier, but not in both locations. The Mirror option is a variation on the Tile option. Tile repeats the image side-by-side, while Mirror flips the image repeatedly. This is just handful of technical terms but i could add to the list massively with the world of 3ds max being ever expansive, my tutor paul has been doing it for 13 years and still doesnt know all the program which says alot. most of the definitions i got was from 3ds max help an extremely useful website that i will definately be using in the future if i have a enquiry on 3ds max. Categories: 3d Realisation, Research | Tags: 3D, 3D realisation, Autodesk 3ds Max, language, research, technical terms | Permalink. Texture mapping is the act of placing a two-dimensional image (2D) onto the surface of a three-dimensional (3D) object within a digital environment. There are various types of texture maps that can be applied to a 3D object and each achieves a specific result. These texture maps are designed to reflect the UV mapping coordinates of the 3D model that has been UV unwrapped. Texture maps can be made from photographs or hand painted in a digital paint program such as adobe photoshop. These texture maps are usually applied/painted directly onto the UV Unwrap of the 3D model. UV Maps are generated within the 3D application from the 3D model and can be exported as a 2d bitmap image. Diffuse maps are the maps that add colour or texture to the surface of a model. For example bricks, metal, rust, wood or skin. A character or environments diffuse map is usually just one of three maps that will be used for almost every single textured 3D model. Specular maps set specific areas of the 3D model to be shiny. 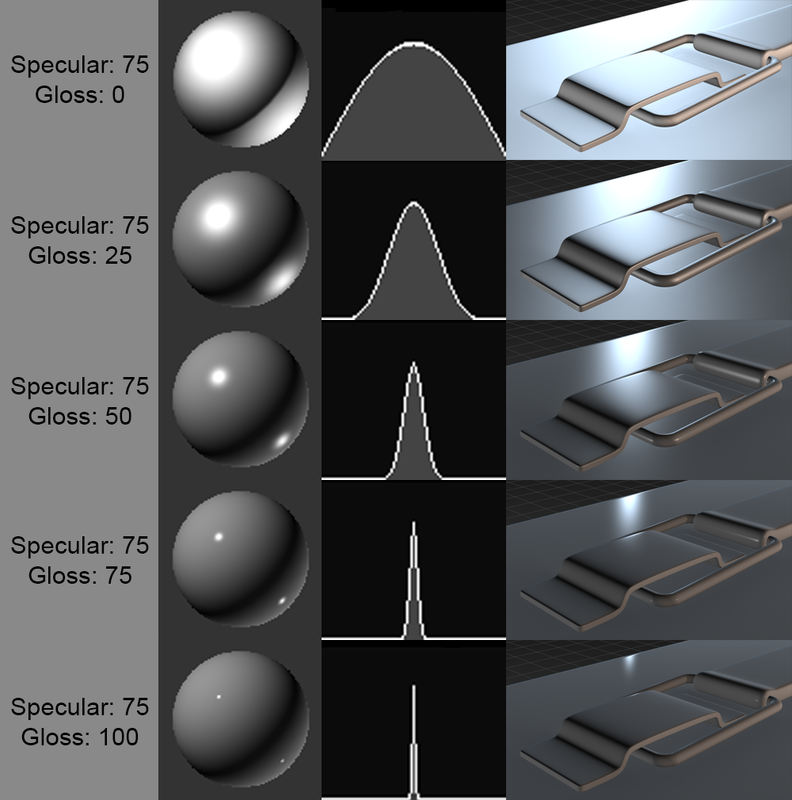 Specular maps work from Black through the entire range of Grey through to White. The level of white in a specific area defines the intensity of this shine. The whiter it is, the sharper the gloss. Good examples of this effect in real life can be seen on shiny surfaces, like metals, ceramics and plastics. Normal maps are used to define a greater level of detail through bumps and indents within your textur, giving a more realistic look to the surface of your model. 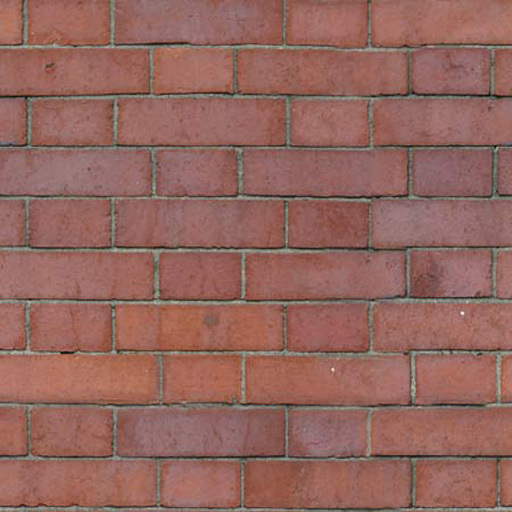 Picture the tactile surface of a brick wall. it has areas that indent where the cement in-between the bricks are and the bricks themselves have a stucco look and feel to them. You could just place a photograph of a brick wall on a flat place. However this will not react to the light source in the same way a realistic wall would. Adding a normal map enables the computer to calculate the high and low spots of your texture and apply shadows and highlights appropriately. The 3D games you play today would not look as they do if it werent for the industry’s use of normal maps. Diffuse, Specular and Normal Maps are the main textures used within games, they are applied to almost everything you see in a 3D environment. In addition to these three textures there are two other main textures that you should consider. Reflection maps inform the software what areas of your texture/model should be reflective. Like specular maps, reflection maps are grey scale images, where black is not reflective and white is highly reflective. These maps indicatewhat areas of the texture should be omitted, making these areas transparent. These are often used for items like nets, chain link fences, cables and trees. 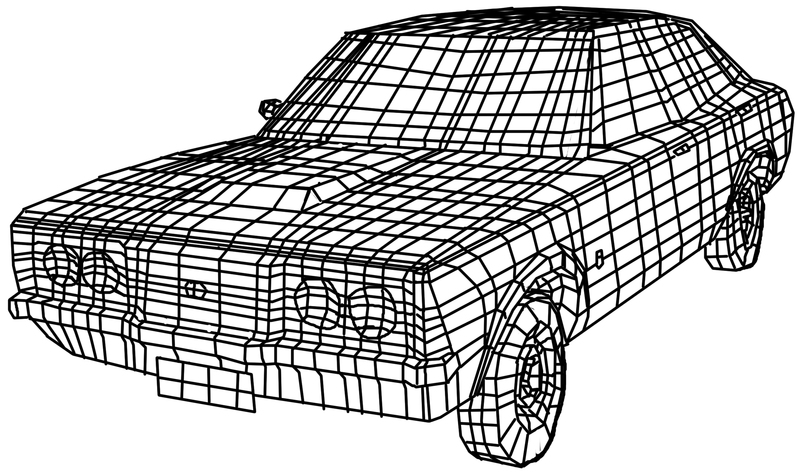 To use an alpha map for netting rather than modelling the net, greatly aids in the reduction of polygons. And when you apply together, diffuse, specular, normal and reflection it gives you a much better texture alot more realistic look to it. It all depends on how you want your texture to look if you just want a normal brick wall a diffuse and normal map should do. Categories: 3d Realisation | Tags: 3D, 3D realisation, PHASEgaming, research, texture | Permalink. For the research we was asked to look at other practicioners that had worked on “streets” and find examples that we liked and if possible examples of this is both day and night environments. Naturally i went straight into research and tried to find environment artists that had done some sort of street concept or design along the way the more i found the better for depth in research. 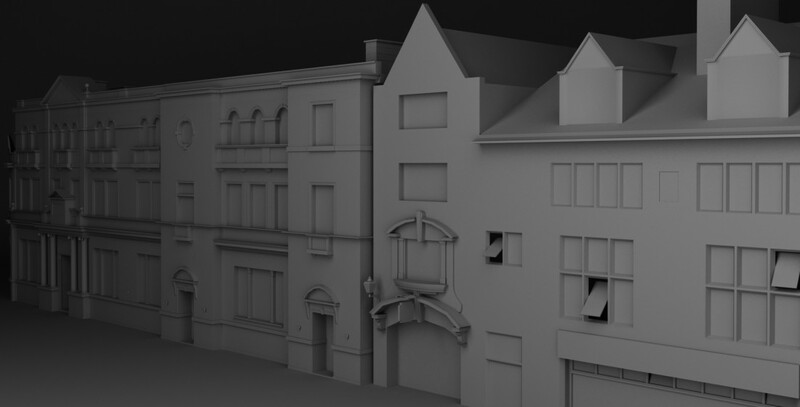 The first person i came across was a 3d environment artist called Alex Galuzin, whilst not working on many shipped games only left 4 dead 2 he did an interesting blog post on creating unique envrionment designs which involved streets. He used copic markers to not focus on detail and just focus on shape and rapid prototyping so ideas could be generated and possibly something you wouldnt have originally thought of might appear in the shapes. Although this wasnt specifically relevant to the research needed i thought it was useful for designing and i liked how he approached the process. The next example i found was alot more relevant, i found some concept art designs for streets in Infamous: Second Son, These designs have different interpretations on how streets would look with varied weather/time. These images are good examples in relation to my research of how streets might change with weather/time, for example in the day a nightclub would be shut, locked and have no sign of life whereas soon as it hits night time its bright, crowded and life of the night. another example would be a records shop like in the infamous picture in the day it will be open for business displaying an open sign possibly neon or not, then at night it will be locked and closed but above it people might live there so lights could be on. other examples are in the link to the website. To round it up i found the concept artist for Deus Ex, Richard Dumont. He designed a nice concept piece for a street styled for Deus Ex which is extremely futuristic and bright. This piece is clearly at night time but due to the sheer mass of electrics and lighting from the buildings it makes not much difference, it remind me of time square in new york with all the huge advertising boards which light up the area. Some of is other works for Deus Ex are here. And then more works for concept art which involves richard dumont are in this website alongside the works of Eric Gagnon who also worked on Deus Ex concepts. Using this research as reference to alternative environments it will hopefully aid me in my personal design of a street building as i consider the differing goings on during day, night, and weather. Categories: 3d Realisation | Tags: 3D, 3D realisation, Brief, Design, Environment, PHASEgaming, research, The Street | Permalink. As the next stage of the brief (heres part 1 research) for The Street project we have been given the next part which we have to build a shop/building in 3DS Max. We have to now create a proposal to pitch to our tutors what our building is including information behind it and reasons behind your choice of building. It has to be inspired by at least one building of the same nature or more or combined to create a generic building. Period Built- Built in 1990s traditional brick walls with tiled roof. Area at the front with some picnic benches to sit outside the shop but not much space there so extenstion was created at back due to increased customers. It was built orginally as a ice cream shop but due to lack of year round sales it was overtaken and changed to a fish and chips restaurant. Back of the building has had a paved decking extended for a extra outside eating area. The sign at the front has been re-designed from a previously blocky type simple in design to a more modern 3d sign with harbour related signs attached. State of Repair- None, recent extension added so no work needs to be done. Important External Features- Signage of the restaurant “Straight from the Dock” with a boat and fish to one side of the text. Drainage pipes, Picnic benches, air ventilation units, alarm, A- Board for best offer. Problems to solve- beleiveable interior through the glass without modelling interior. Additional Notes- possible request not to be on a corner due to back extension of shop. Categories: 3d Realisation | Tags: 3D realisation, Brief, ideas., PHASEgaming, progress, research, The Street | Permalink. This 3d Realisation lesson we looked into topology. The word topology refers to the geometric surface characteristics of a 3D object. Modelers strive for “clean” topology, typically illustrated by a 3D mesh with efficient polygon distribution, proper placement of polygonal edge-loops, few or no triangular faces (as opposed to 4-sided “quads”), and clean precise creases that minimize stretching and distortion. Topolgy is the key for us beginner modellers to have a better understanding of how to model as the topolgy of a shape cuts it into segments (lots of little depending on how detailed) so you can see how that object or thing looks in a wireframe. Understanding topology will be useful to us so to get us to terms better with topolgy we was set a small task to create topological images of 3 different topics. To do this all we had to do would be to import an image of each topic into Photoshop having the image as the layer 1 then creating a second layer for the topology, turning the opacity slightly down on the image and then giving it a go. 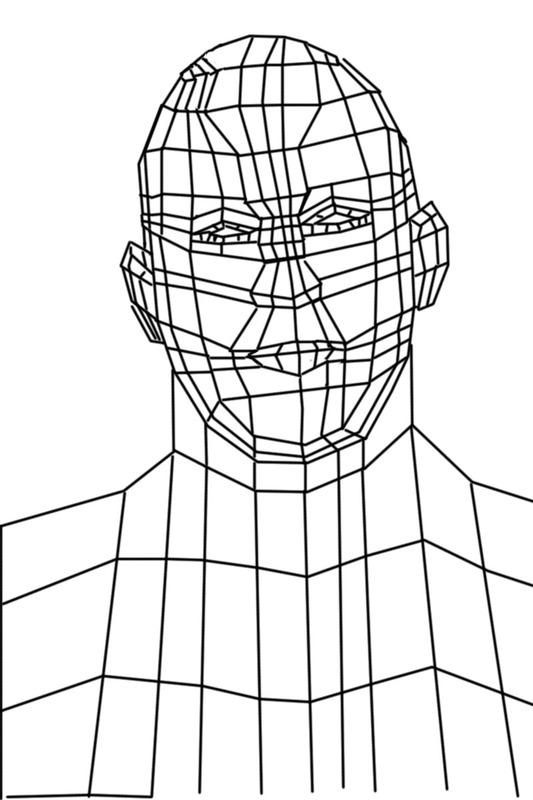 The reason for the sepearated layers was that you wouldnt rub out the image if you segmented it wrong, and when you finish the topology you can hide the image and save the jpeg so its just the wireframe. 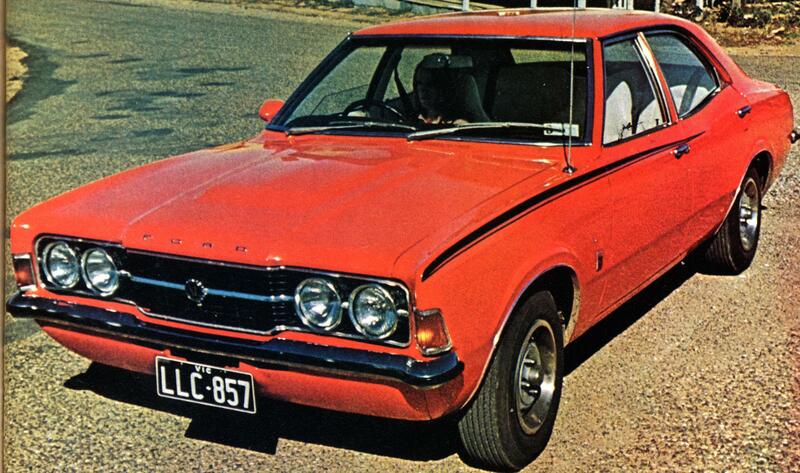 So heres how mine went, for the car specified family saloon pre 1980 i chose the ford cortina 4door. This is my topolgy of the car, i felt it went really well for my first effort, i tried to keep everything in quad polys as thats what we model with in 3ds max and then in game engines they convert them into their own tri polys. The idea was to make the car look the same in the topolgy mode, obviously this is a lower standard than what would be in a game engine and it would need to be ironed out but for a first go i was pleased. 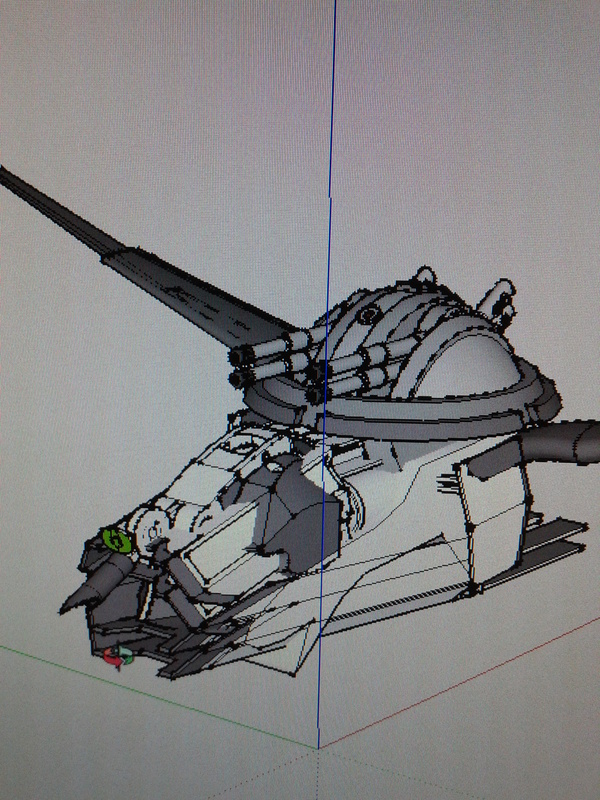 No curved lines either all straight which is how modelling is done which is quite hard with the circular tires etc. The feature i felt i handled the best would be the bonnet with the hood raised. 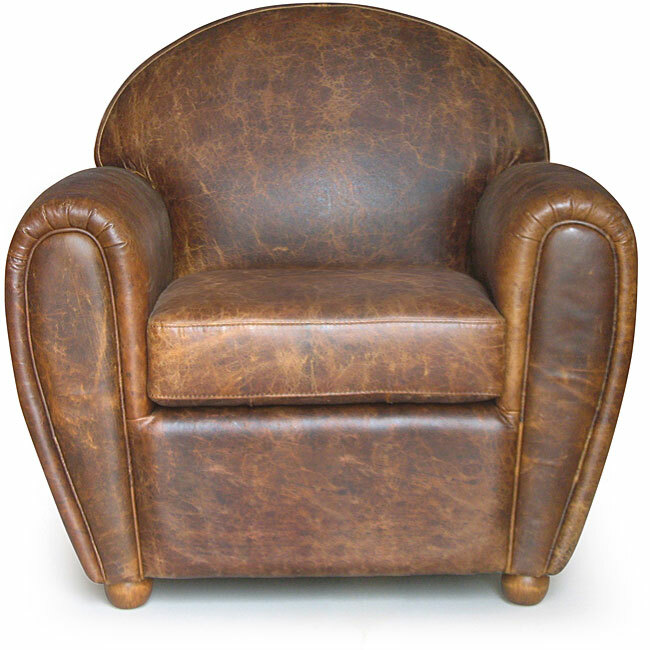 Then i gathered my worn leather sofa. 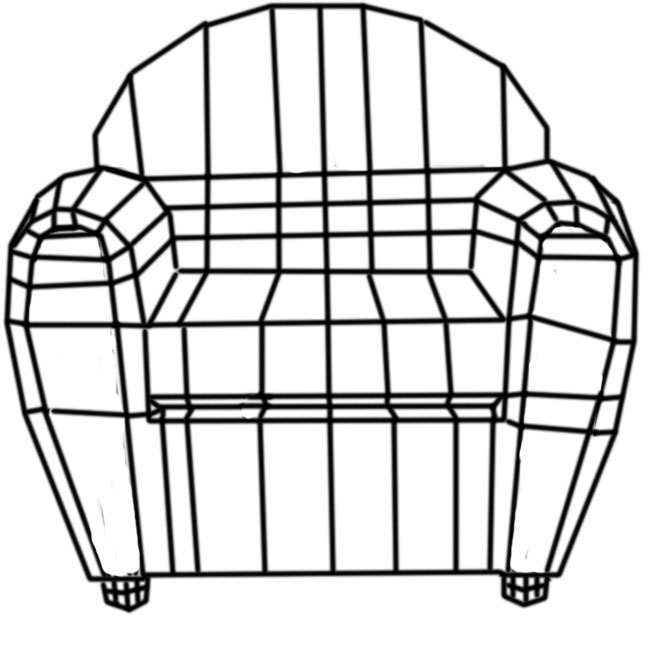 So the worn leather sofa i did second out of the group, there was lots of natural curves in this object so it is fairly difficult to keep the lines straight but the segmenting i did seemed to do it effectively. Best feature would be how i handled the continuous lines looping the shape i felt. It is quite low poly but it would be texturable to go into a game engine like this. 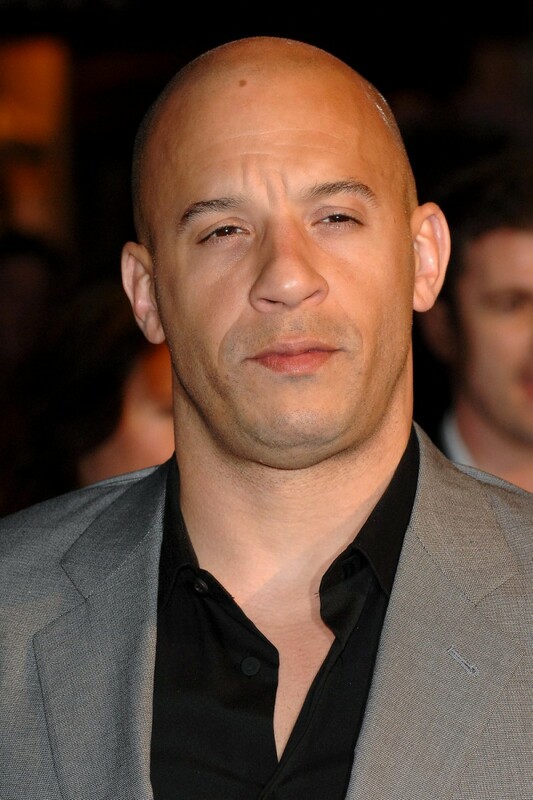 The famous person i chose was vin diesel in light of the recent vin diesel approach we did in a recent lesson for character design. Also because he is bald it saved the hair and stuck to the main shape of a head. I found this slightly more difficult than the rest due to the multiple different curvatures of the human face and structure of how it is. 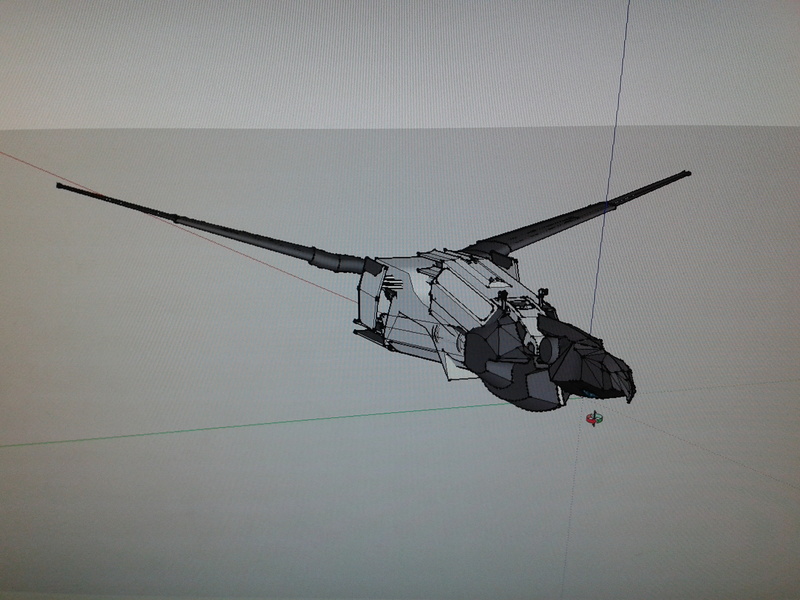 But the overall layout of the topology i felt it did work out to the level of detail i decided to take it to. I had no main idea of how to really go about this and felt it went a bit wrong in areas, i left out the detailing for the clothes as it could be texterured on. I would like to improve the facial topology so i will revisit this. This task really made me think about how real life objects can be modelled if you understand topology and maybe if the topology was drawn on before like a blueprint the actual model would be easier as you would have a sort of model reference to work from. It also made me see how this could be encorporated into my drawing as the use of contour lines like in a drawing 101 session is very similar to topology and the curvature of objects expect topology is straight lines but to the same effect. 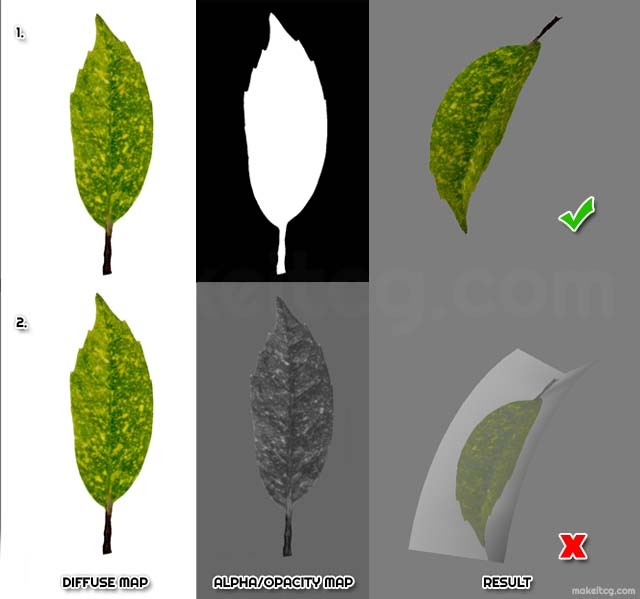 Categories: 3d Realisation | Tags: 3D, 3D realisation, Adobe Photoshop, art, Design, PHASEgaming, Topology | Permalink. Technical Skills/ 3D Realisation- Sketch Up Advanced. Progressing from out previous Sketch Up lesson on the basics (previous lesson), we had enough to go upon to advance further in sketch up so make a magnitude of fantastic things. Firstly Gareth went back over the basic set up and how we should have it so turn on large skill set, tools and styles. This set our Sketch Up user interface up nicely ready for the advances we was about to make. We was shown to use the free form drawing tool to create a shape of any imagination just a random shape then to use the push/pull tool to expand it width wise to any scale we could think of as this was our advanced sketch up project. Before we did this for ourselves we watched Gareth create his own Sketch Up model using multiple techniques. First thing he introduced us was to the 3D Warehouse then Get Models, this is the place where other Sketch Up users have uploaded there models to the warehouse for all others to see and comment, but the feature that makes this warehouse useful is that you can then import them models into your current project. So Gareth wanted to go an aircraft he imported many different ideas such as a cockpit from a harrier jet, some small angled drone wings, body of a apache helicopter and much more. These were all full models of e.g. a harrier jet but the good thing was that when you import these you go to Edit->Components in Model->Explode, those steps make the models you have imported spilt into different segments depending on how it was made, the repetition of exploding maybe required to get the smaller more detailed or little parts of a jet e.g. the wing flaps then use the move tool to keep the items you like. Make a Group by selecting the set of objects you want and then clicking make group so it all bundles together and keeps your model moving as one. If you want to mirror an object to the other side e.g. a wing of an aircraft just copy, paste, then use the scale tool to drag across to overlap current format and flip the image (tip: use the measurements in the bottom right so you have a complete mirror of the image you are flipping/ mirroring). He then pieced together using multiple items and models he liked over the top of the original random shape to make a futuristic 2 seated aircraft. The mini-brief we was then given you can probably guess is to build our own 2 seated aircraft doing this same process using the 3D Warehouse. 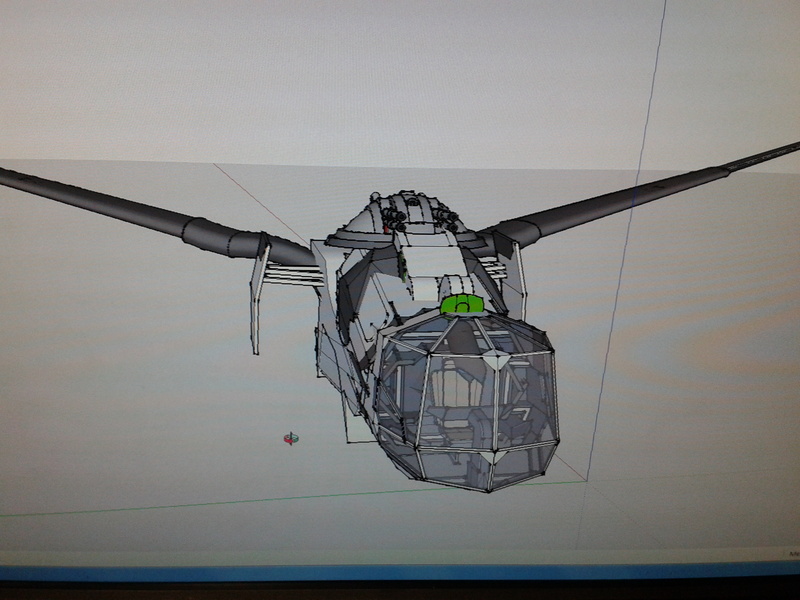 I have taken many images on my progress throughout the model and then even animated it to upload to my YouTube channel. After I had finished with my model I could do many things with it of my choice really, I had the choice to upload to YouTube which I did, Export into Photoshop to experiment on it as a model and maybe turn it into concept art, or weaponise it develop the model more in Sketch Up which I will return to at some stage. 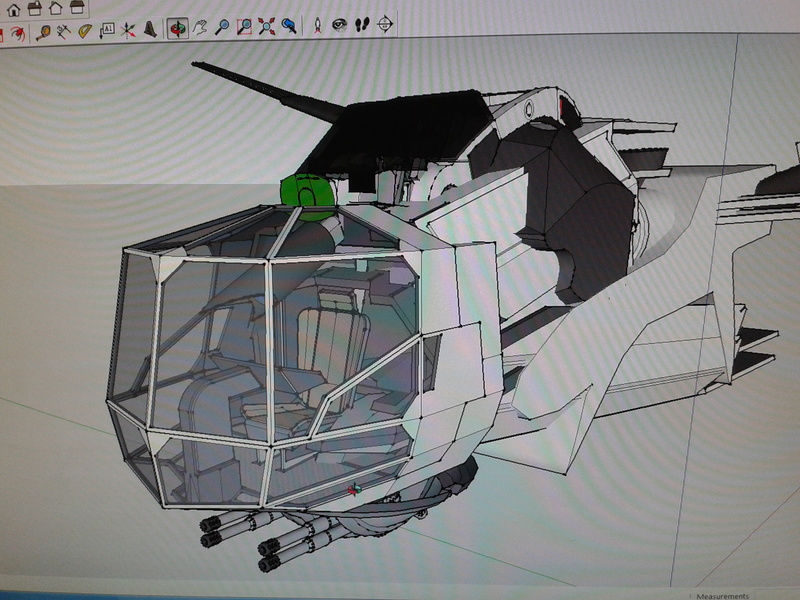 This is how I started you can see the random shape in the middle and then I had gathered a drone from the Model warehouse taken the small front end body wings placed them on what is currently the back of the shape to give it a streamlined futuristic look then the front is also from that drone it was the panels on the bottom of the ship but I mirrored them to give a modern panelled look to add the cockpits onto the ship. I then wanted wings for this model so this was key for the model as the wings need to be scaled correctly or the aircraft will look unbalanced its the same with dragons if they have tiny wings and a big body they look like a cartoon funny dragon rather than fearsome so a sense of scale is important. Then I tried to experiment with how to add a cockpit so this front end was from a different drone to try panel it and add a cockpit in-between these mirrored panels. This was an attempt to add weapons to the spaceship, which I decided against for now as I wanted the basics of the ship first. But I got rid of the front end from the previous photo as it didn’t look right but the body of the ship was coming together nicely. This was all done with all I learnt from the last lesson on the Sketch Up basics like rotate, move, and scale. This is the cockpit I found on a spaceship this is the only piece I took from the ship as the rest didn’t appeal to me so I exploded the ship until it allowed me to take the cockpit and place it on the front of my ship, I particularly like this feature and design of it as the glass allows panoramic view for the pilot so he can see a lot more than say a single slot. Also I move the gun scaled it down rotated it and tried to place it on the bottom as I liked the cannon for firepower but it just wasn’t working. 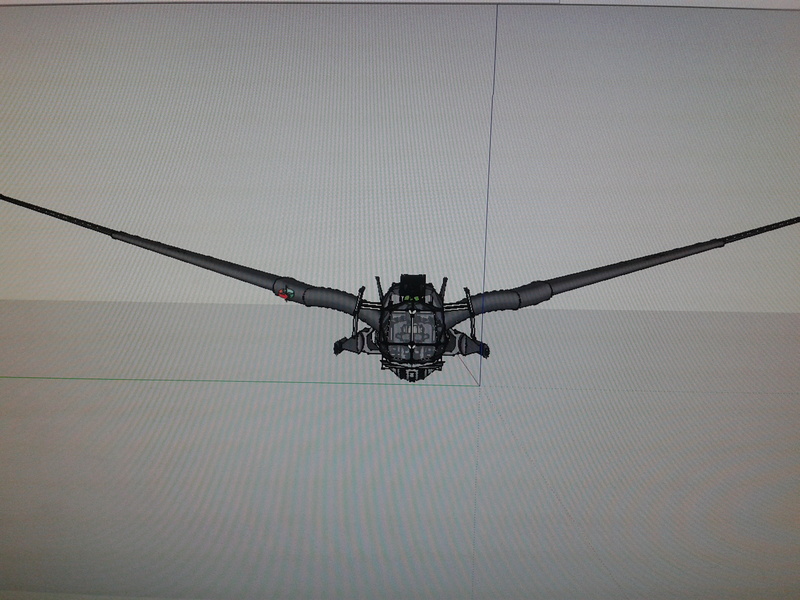 I also made the wings bigger to make the scale more realistic. This is pretty much the final product I found the rear end of a spaceship as I wanted futuristic thrusters to power my spaceship and then the wing just glide it around in space or future earth. To get just the rear end I had problems with exploding the image as when I tried to take the rear end it was stretching the ship rather than separating. 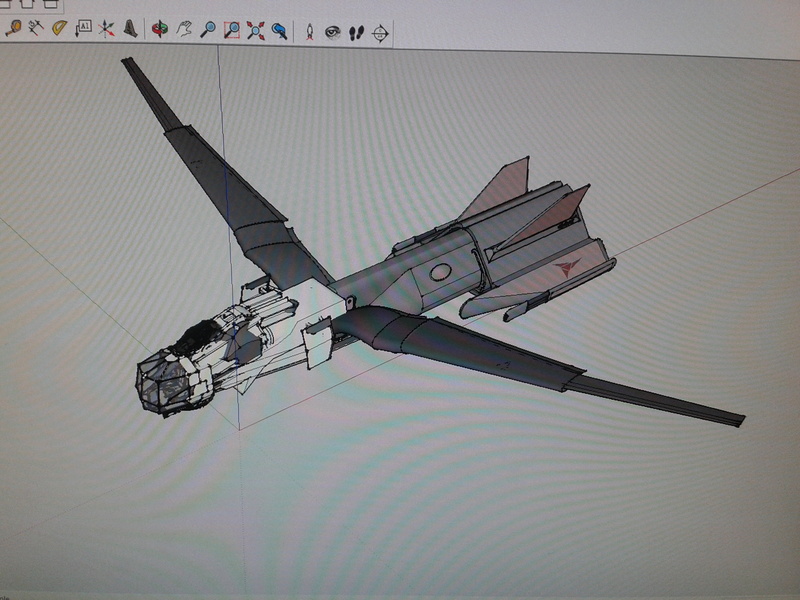 so to do this and get just the rear of the ship I had to make a rectangle then use the push/pull tool to cut straight through the shape then select the model going to edit->intersect faces->with selection. 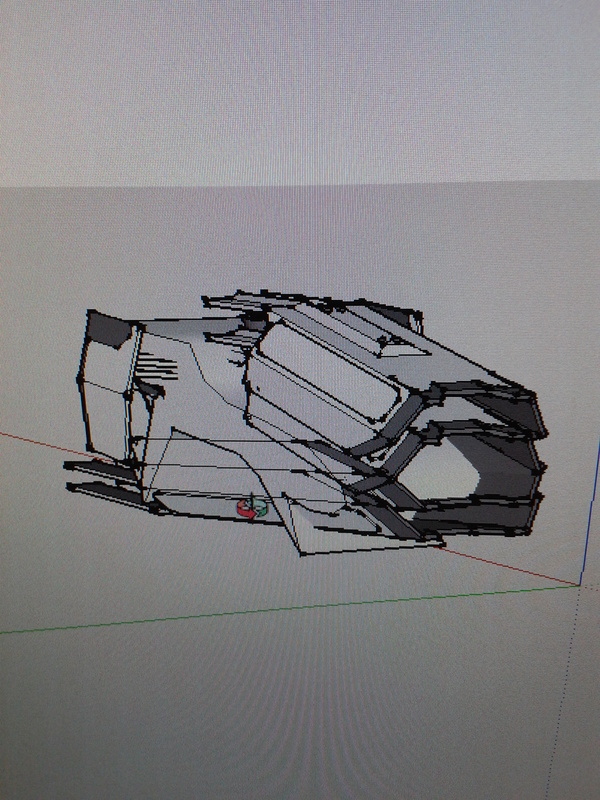 This will cut the shape when you then move the rectangle out of the way so there I had my rear of my ship. I also needed one more seat to I put a harrier 1seater cockpit on top which is still streamlined. 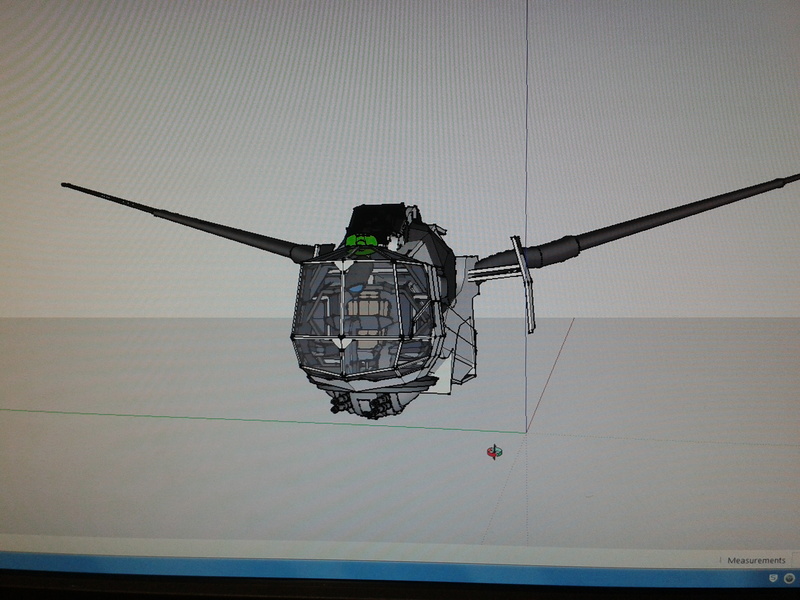 And there is my finished animated version of my 2 seated spaceship. 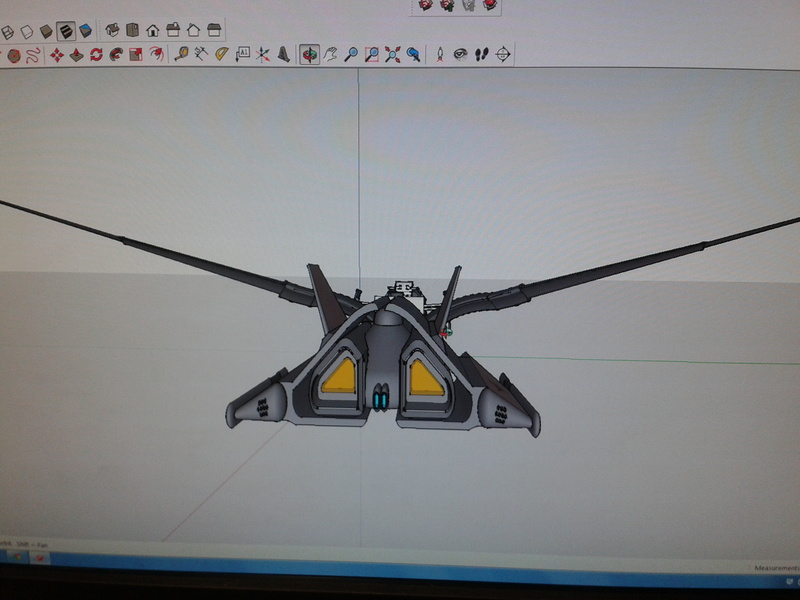 I showed this to my tutors today they was very impressed with my full animation of it and the style of the ship, Gareth imagined it dropping out of a huge star destroyer then the wings raise up to a glide then the thrusters has the option of hyper speed. That’s exactly what I was trying to get across so therefore I felt like I had done my job with this well and now all there is to do is possibly weaponise it or concept art it in Photoshop. This was all to let us get better at Sketch Up as its a useful software for doing really quick 3D Designs and concepts for example buildings, I am currently doing a gladiator arena in Sketch Up for my Adaptation task so I have really taken a shine to Sketch Up. Categories: 3d Realisation, Technical Skills | Tags: 3D, Animation, Models, progress, Scale, Shapes, SketchUp, Spaceship, youtube | Permalink.